The drug war is criminal agricultural mercantilism. It was initiated by the nation with a high political regard for Tobacco, through the USDA – established in 1862 by then U.S. President Lincoln to promote domestic agriculture -- and the private AMA-APhA, with stated concerns about coca’s use as a tobacco habit cure, and that in general of various herbs as essentially alternatives to synthetics (the real ‘patent’ drugs later known as pharmaceuticals). 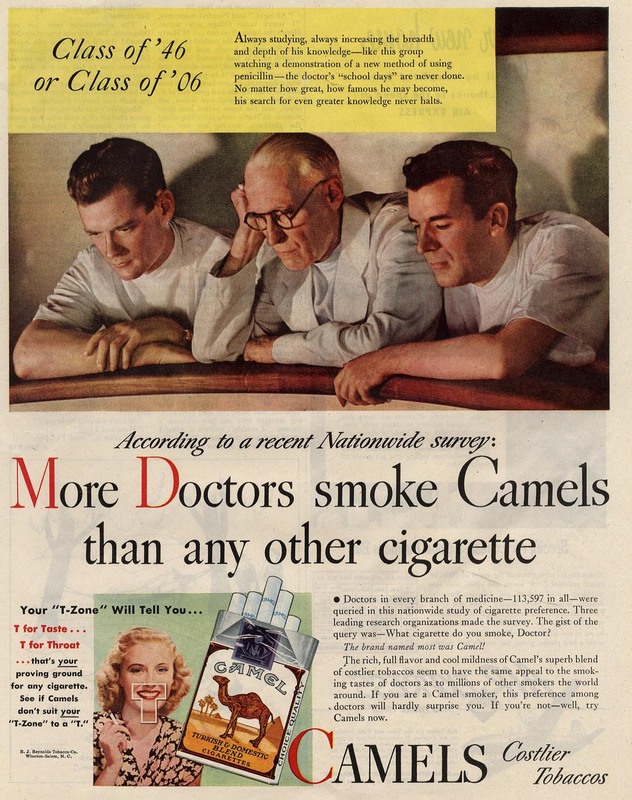 This was a long time political alliance marked, amongst other things, by the numerous cigarette advertisements in medical journals expressing the conventional medical establishment’s endorsement of cigarette smoking as healthy. It came about just after the time that the U.S. took control of what became the Panama Canal Zone, to complete the canal essentially connecting the Atlantic and Pacific Oceans, tremendously shortening shipping supply lines of harvested Coca leaves from Peruvian ports to north Atlantic markets, by 1914- the year the U.S. enacted the prohibitive Harrison ‘Narcotics’ Tax Act. That act, signed by US President Woodrow Wilson on December 17, 1914 and taking effect March 1, 1915 prohibited any food or dug products containing any amount of cocaine. It would be the outgrowth of this anti-coca Hearst-Wiley collaboration that emerged in 1904, following years of expressing no such interest in banning coca- notably Wiley had been head of the USDA Chemistry Bureau since 1883, yet apparently never said anything even negative about coca until 1904. This collaboration included that directly between Hearst and his ‘muckraking’ writer Samuel Adams Hopkins, and Hopkins and Wiley for a series of articles seeking a ban on coca based upon confusing it in people’s minds with cocaine in highly concentrated doses. Since decades of Vin Mariani use had shown coca to be rather safe safe and effective, such interests had to resort to innuendos designed to confuse the acute toxicity of concentrated cocaine dosing to create a doubt in the many unfamiliar with coca the intellectually slippery slope of the false idea that coca was somehow chronically toxic. This campaign’s political deceitfulness with those unfamiliar with coca versus those already familiar was evident with the US State Department’s acknowledgment that the so called Opium conventions should for the time being respect those areas were coca was legally differentiated from concentrated cocaine versus, say, the emperor of China by defining cocaine as a singularity as a drug that is injected- infinitely its most deleterious mode of administration! This deceitful, slippery slope nature of the anti cocaine in any amount campaigners – or crusaders – had its initial legislative expression at the U.S. Federal-National level with the 1906 U.S. Pure Foods and Drugs Act. Such didn’t ban coca, but instead provided the means to effectively do so by empowering the USDA Bureau of Chemistry – aka Wiley – to arbitrarily declare a substance deleterious to health and ban in from food products as “adulterated”. Since Wiley in collaboration with the Hearst publishing empire had ‘determined’ that cocaine was simply a bad drug regardless of any actual pharmacological matters between dilute and concentrated dosing- say as between drinking coffee and snorting smoking or injecting pulverized No Doz or Vivarin caffeine pills, many coca- dilute cocaine manufactures failed to list cocaine as an ingredient to avoid stigma- though not necessarily deceive as many of these products were conspicuously labeled as coca, hence bringing into question why coffee or tea products were not required to list caffeine as an ingredient. Sure, coca products naturally containing cocaine could remain in substances sold as drugs, which were coming increasingly at this same time under non refillable prescription requirements by the various U.S. State legislature (as a result of the same Hearst-Wiley-AMA-APhA campaign/crusade). In 1907, Vin Mariani for U.S. markets was sold de-cocainated, a move only furthering the erroneous idea that dilute cocaine was somehow bad). The 1906 act also established a list of drugs, including cocaine, that had to be listed in the product’s labeling list of ingredients, including the amount per product fluid ounce, but with caffeine and nicotine unfairly excluded: despite Wiley’s later incessant crusading against Coca-Cola for containing isolated caffeine- in contrast to coffee and teas naturally containing caffeine- a distinction he would altogether neglect concerning coca versus isolated (yet dilute) cocaine, let alone isolated cocaine in concentrated doses. This act neither mentioned coca nor coffee. 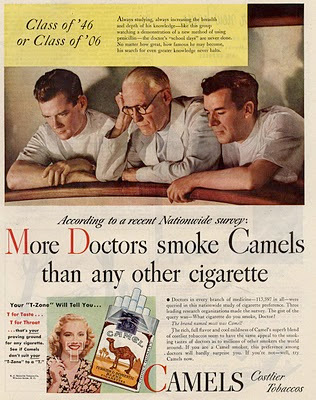 Yet its double standard on labeling would further portend a clear agricultural market protection based bias already expressed by its clever definition of its jurisdiction over substances contained within the U.S. Pharmacopeia – an official encyclopedia listing of all commonly accepted medicines – from which Tobacco had been deleted in 1905. 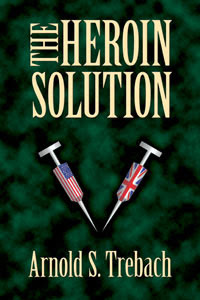 The continuing campaign-crusade against cocaine irregardless of whether dilute or concentrated, expressing itself as the state legislative banning from foods and non-refillable prescription requirements, and such various things as the 1908 U.S. Homes Commission, and the USDA’s infamous Farmer’s Bulletin article ; "Habit Forming Agents: Their indiscriminate sale and use a menace”, would lead to the 1914 Harrison Act. The 1906 Pure Food and Drugs Act, by its establishment of a dictatorial USDA to protect agricultural markets with no requirement of scientific basis, with its market intervention regarding coca and tobacco, ultimately cemented by the 1914 Harrison Act, had clear sales effects. Yet it has been an unmitigated health disaster that was foreseeable. Despite its bad reputation, however, I am, on balance, prepared to ascribe “a good motive”, in Senator Lane’s words, to the HNA itself. Although I have long considered it a repressive piece of legislation, a fresh reading of the historical record now leads me to believe that it was, on the whole, a rather intelligent, rational and progressive one. Labels: Arnold Trebach, Big Pharm Versus Herbs, criminal mercantilism, drug war scam - public health subversion, Tobacco Versus Coca, U.S.D.A.